Ford is currently valued at about $45.1 billion. Tesla is now worth $47.8 billion, reports Bloomberg. Last year, Tesla delivered less than 80,000 cars. Ford, America’s second largest automaker, sold 6.7 million vehicles. Tesla’s stock was up over five percent after reporting it has delivered 25,000 vehicles (nearly half of which were the Model X) in the first quarter of 2017. Investors take it as a sign that Tesla can back up its goals for growth ahead of the launch of the Model 3. Tencent’s investment in the electric car startup helped boost its price, too. Of course, Tesla CEO Elon Musk took to Twitter to poke a little fun at those who paint a dark picture Tesla’s future. Ford has been making cars for over 100 years, and its value is the product of tangible results. For some, like AutoPacific analyst Dave Sullivan, Tesla’s overtaking of Ford “does not compute,” as he tells Bloomberg. “It’s mind-boggling that a company that has the global breadth and depth that Ford has is suddenly valued at less than or equal to Tesla,” Sullivan said. 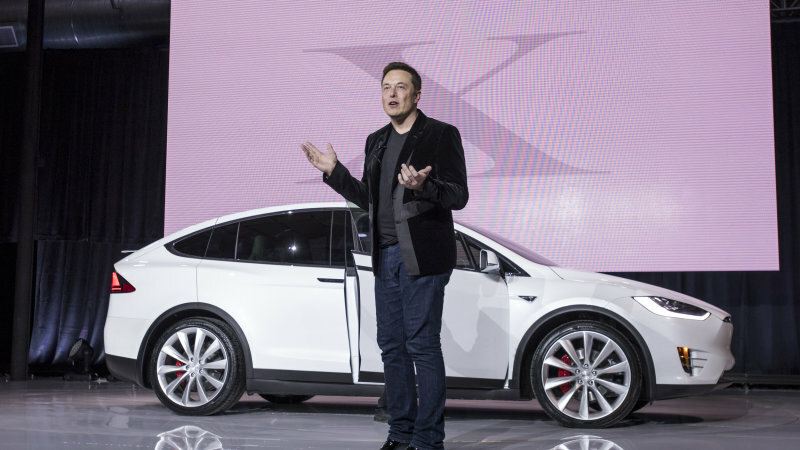 Tesla’s potential potential for growth is built into the stock price. Elon Musk says Tesla could produce up to 500,000 vehicles a year in 2018, after the launch of the Model 3. Whether or not that will actually happen is totally unclear. Tesla, though, is a brand people are excited and optimistic about, investors included, and good news creates market action. The fact that Tesla and Ford are similarly valued only highlights their differences, and the ability of a buzz-worthy brand to convince people to invest their money in a hypothetical future.